When Google released the first Android P preview back in March, one interesting new feature was indoor positioning through 802.11mc WiFi aka. WiFi RTT (Round Trip-Time). That looks promising so I started to look for 802.11mc capable routers, and all I could find were some Intel cards and Marvell chips with WiFi RTT, but not actual products. Since then Android 9 has been formally released, and today I’ve learned that Compulab launched a WiFi RTT capable router that will work with Android 9.0 phones. Meet Compulab WILD. 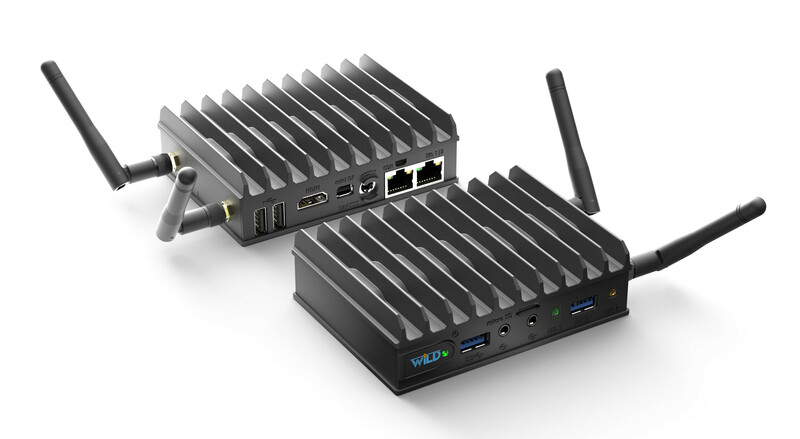 If you’ve been following news about Compulab’s mini PCs, you may find the device photos and specifications familiar. That’s because the Compulab WILD is based on Fitlet2 with low power housing, and an extra Intel wireless card plus two external antennas. So if you already own a fitlet2 or Mintbox2, you could probably reproduce the design by simply adding Intel AC8260 M.2 card, and some modification to the side of the case for the antennas. 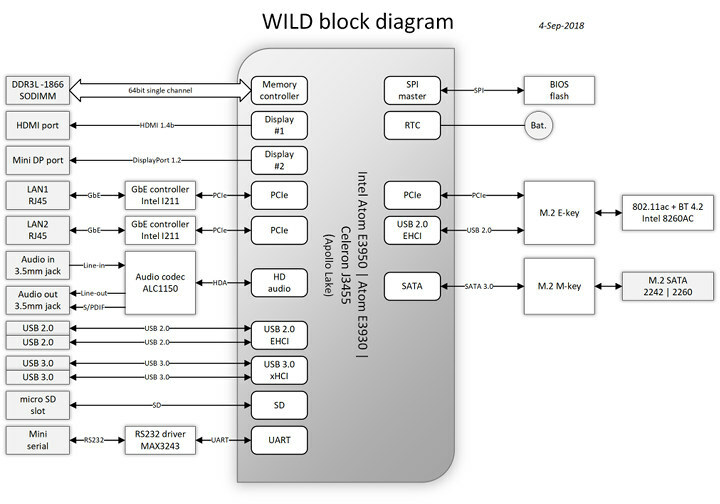 Bear in mind that the WiFi card was released in 2015, so some firmware update may be needed for 802.11mc to work, although WiFi RTT/802.11mc has been supported since 2015 in the Linux kernel. The company provides GNU/Linux Debian with KDE and standard package management for WILD router, as well as utilities for remote management of WILD access-points. WILD drivers and utilities are said to be open-source. You’ll find more details about software support in the Wiki. The source code for the Android app demo (WILD-minimal) is on Github. Wi-Fi RTT allows for an accuracy of 1-2 meters for Android 9.0 smartphones, but you could use WILD IoT, the exact same hardware as WILD, but configured as “client” for under 0.5m accuracy, for example for tracking robots, or indoor vehicles. For reference, in the case of WiFi RTT, a client is called an initiator (FTMC), while the server/gateway is a responder (FTMR). Compulab WILD is sold now starting at $175 for a barebone unit ordered in volume, but the company also offers a model with Celeron J3455, 4GB RAM, and 16GB eMMC for $238. The company recommends five or more units for evaluation an development, and also offers an indoor positioning kit for $1,300 with five devices including four responders and one initiator. More details can be found in the product page. It is probably just a matter of time before BSD can handle mc (I would expect BSD to be able to do ac). Some info about the number of responders needed and their placement, among other details.